REGUA was delighted to attend a presentation in Rio recently for three more areas of the Reserve to be granted RPPN status. 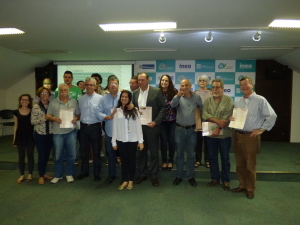 Presenting 18 awards to various land owners were André Correâ, Rio de Janeiro State Secretary for the Environment and Paul Schiavo, Director of Biodiversity for the State Institute of the Environment (INEA). The 18 new certificates cover around 900 hectares, bringing the total number of RPPN protected areas to 78 and a total area of 11,000 hectares. 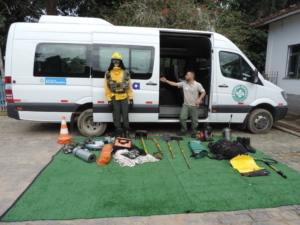 They are located in 12 local authorities across the State and are contributing to the preservation of important fragments of Atlantic Forest. He added that the State Environment Agency want to …. 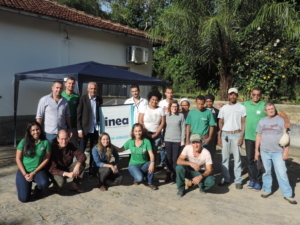 Their words totally confirm REGUA’s successful model for sustainable ecotourism supporting the mission of the long-term conservation of the forests of the upper Guapiaçu river basin.